Keep a bag of cherries in the freezer, and you can make this incredible smoothie as a snack, or even a dessert. 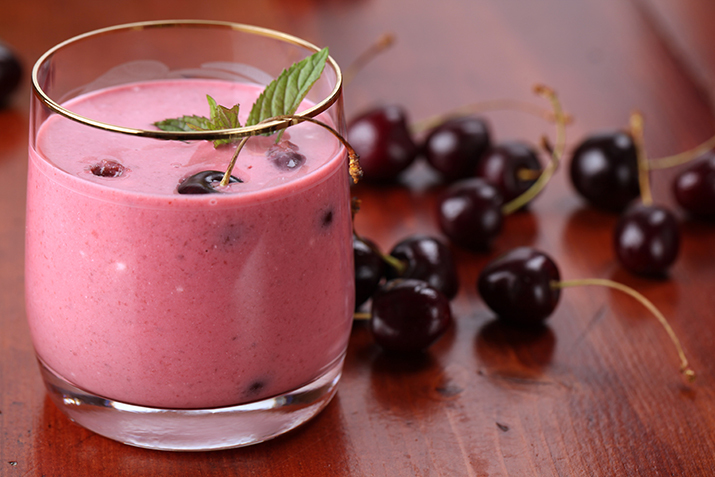 In a blender, combine the cherries and banana, add yogurt and blend to puree. Transfer to two glasses and garnish with three cherries per glass. If you’ve got too many ripe bananas, cut or break them into chunks, seal in a plastic bag, and pop into the freezer to add to future smoothies.